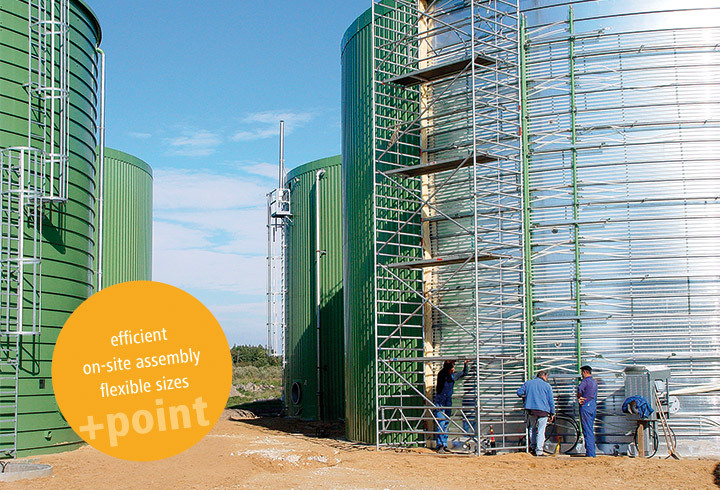 The LIPP Universal digester which unlike the KomBio reactor does not have an integrated gas accumulator, is used for larger plants for industry and municipalities. 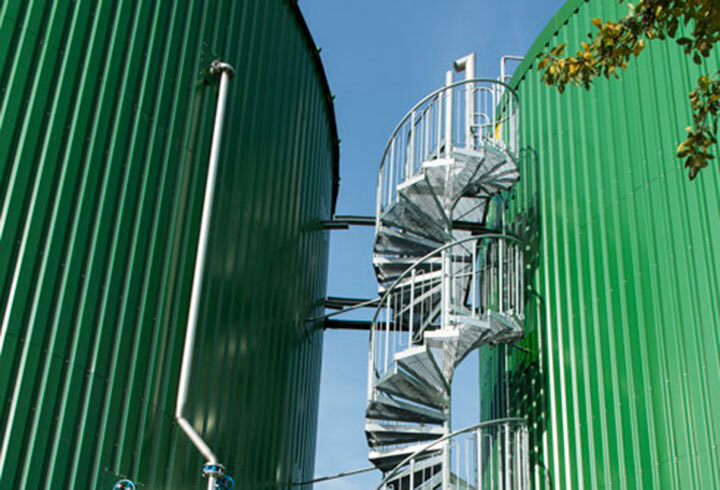 The biogas accumulated is either directed into a KomBio reactor combined with the Universal digester or into a separate gas accumulator. 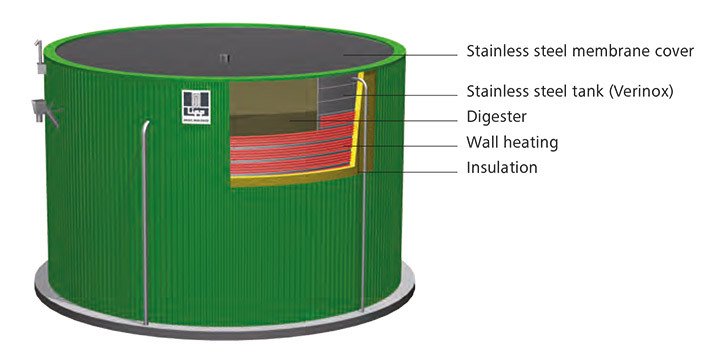 The LIPP Universal digester essentially consists of a (Verinox) stainless steel tank with a modular design. Panel heating and insulation are fitted on the outside and are easily accessible. Thermal yield is optimised due to the good conductivity of the steel. 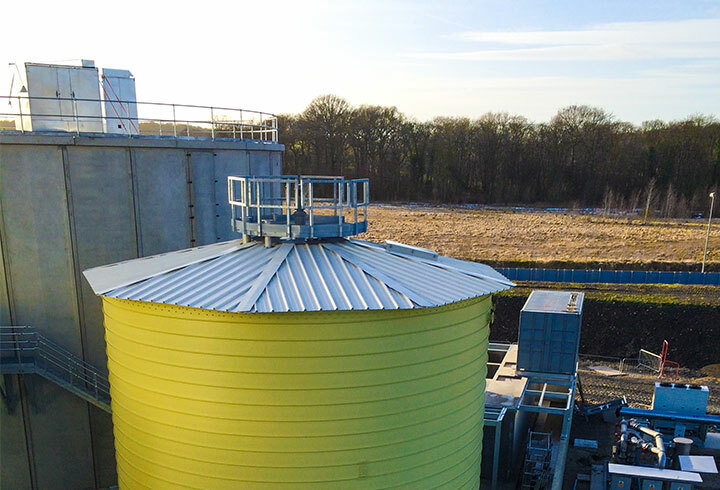 The tank is covered by a self-supporting stainless steel diaphragm roof which is particularly corrosion-resistant, making it suitable for use with aggressive media. A variety of material grades and individually customisable pumping and stirring technologies enable optimum boundary conditions to be provided for any substrate composition. In addition, pre or post-treatment of the substrate can be realised by installing additional tanks (e.g. sugar beet silos, hydrolysis and post-digesters). 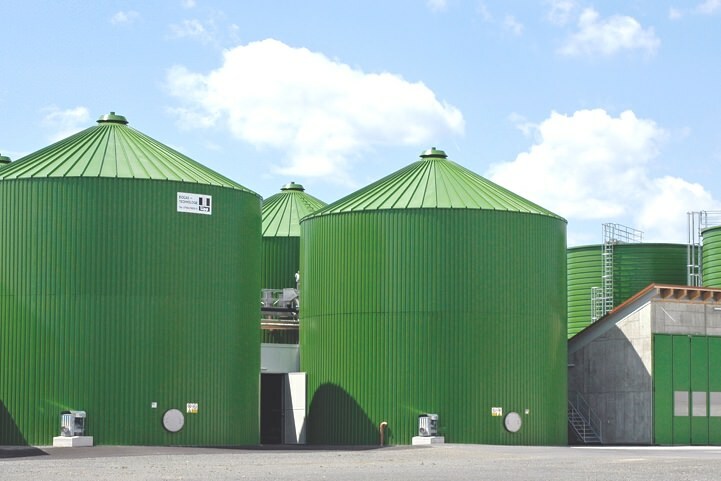 By using LIPP tanks for biogas plants or sludge digestion, you will benefit from more than 50 years of experience in tank and plant construction as well as consistent quality worldwide. The patented VERINOX stainless steel used is characterised above all by its high quality and maximum leak-tightness. Thanks to the Double-Seam System, LIPP digesters have smooth internal walls (largely without any internal attachments) and ensure uniform mixing while keeping energy consumption low. The external panel heating guarantees uniform temperature distribution in the digester. 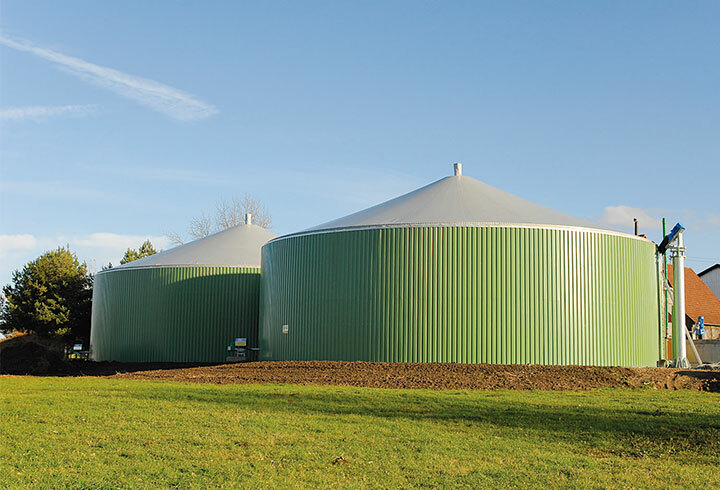 These thermodynamic and mechanical benefits with LIPP digesters also mean that short retention times are achieved. The high functional safety, especially in respect of heating and stirring technology, promotes a low demand for process energy. Further benefits include minimal maintenance requirements and a long service life. The automated assembly technology in the LIPP Double-Seam System enables the fast construction of stainless steel digesters which in turn has a positive effect on investment costs. Other characteristics of installation using the LIPP System include efficient production on site requiring minimal installation space and a short installation time. 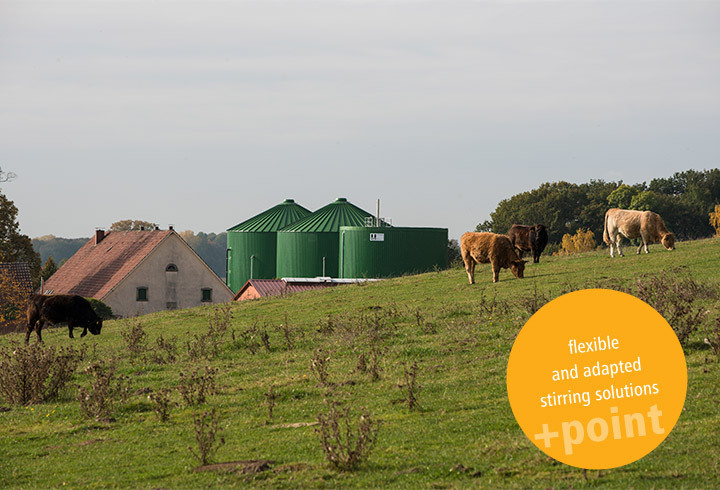 Flexible digester with a wide range of roof designs and optional accessories for agricultural use.